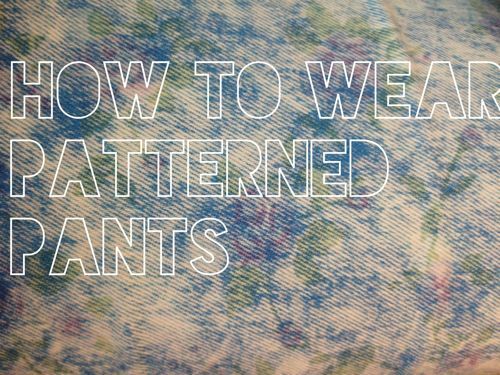 Wearing patterned pants, especially printed skinny jeans, might feel like a challenge in the summertime. However, although it’s 99 degrees outside where I am, my classrooms are absolutely freezing! 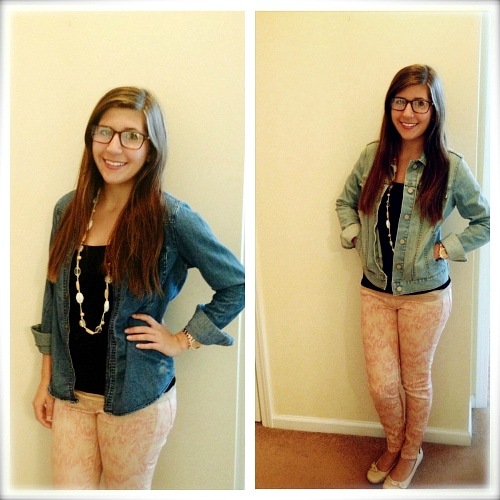 Jeans are a great option for my predicament, but wearing blue jeans all the time can be so monotonous. 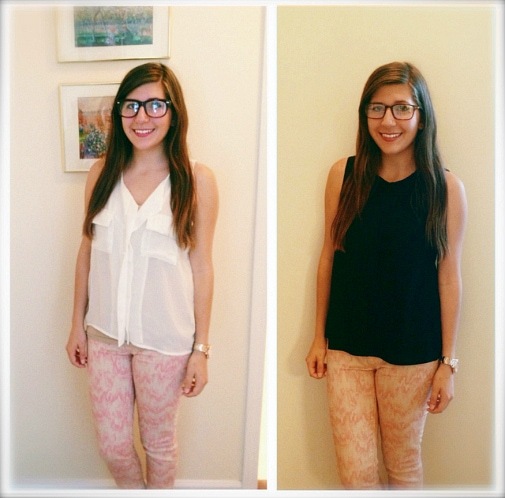 That’s why I prefer patterned pants – they are fun and full of personality! Neutrals are called neutral for a reason – they go with everything! Wearing a neutral top with a bold printed bottom is a tried-and-true pairing, but it can look a little safe and boring. Let’s spice it up. Okay, I understand. You’re not comfortable breaking out of the neutral box. That’s alright. Accessories can add so much personality to an outfit – after all, it’s the little things that matter. I love statement necklaces because they draw the eye upward. That means all the focus isn’t on the printed pants, thereby creating a more balanced look. Also, don’t forget to play around with different textures, like I did with the crochet top on the right. You can’t walk outside these days without seeing denim everywhere. On the grass, on the trees, on the roads – okay, maybe not that much, but you get the point. Whether it’s summer or fall, layers are great for transitioning from outside to inside. Pairing printed jeans with a denim jacket or shirt is a fresh take on the denim-on-denim trend that is far from being a fashion faux pas. 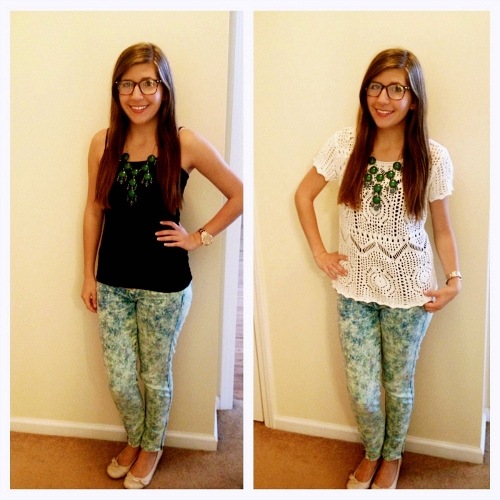 How do you wear patterned skinnies in the summer? What do you think of these looks? Would you wear any of them? Let me know how you wear yours below!